RIGHT FRONT AUXILIARY HEADLIGHT LOW BEAM WILL NOT LIGHT. terminal (1) and vehicle MASTER disconnect switch (10). If there is no continuity, repair negative battery cable. If there is continuity, go to step 7. If there is continuity, go to step 8. If there is no continuity, repair ground cable. If there is continuity, go to step 9. 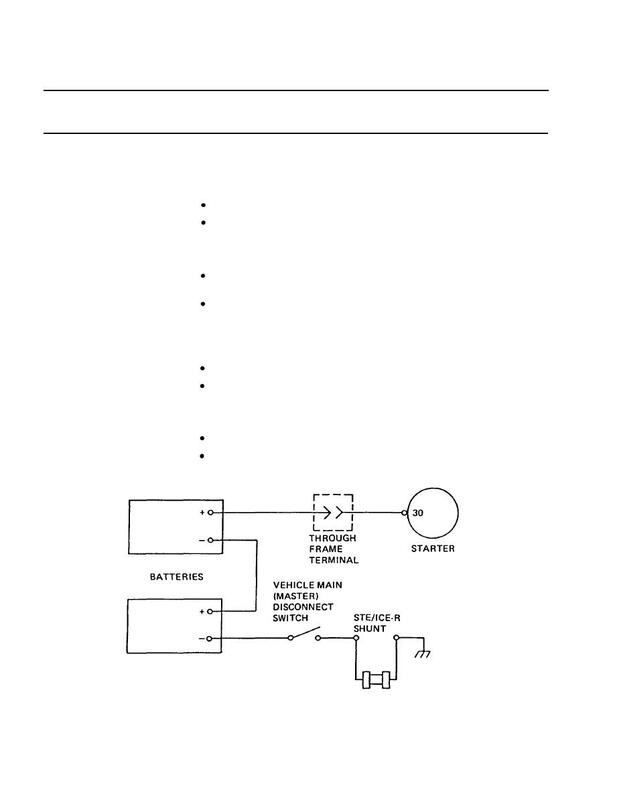 If there is no continuity, replace STE/lCE-R shunt (page 4-213). If there is continuity, repair ground cable (13).